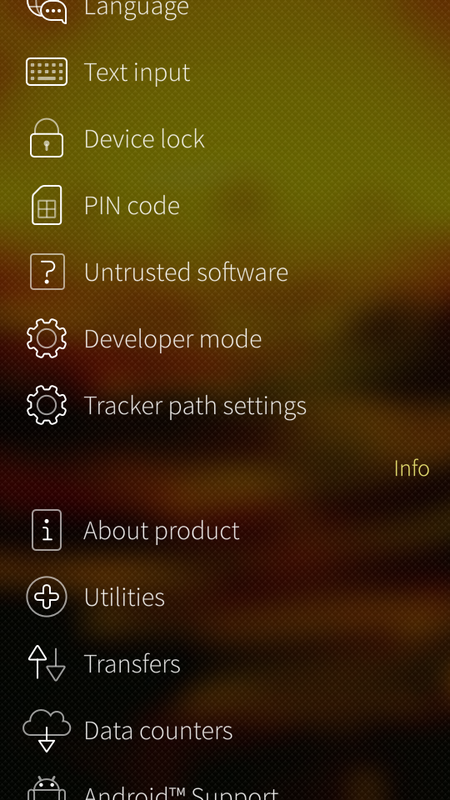 You can unlock default paths and choose any dir with pulley menu's "Unlock advanced settings"
Could you add SFOS 3.0.2.8 support? Could you add SFOS 3.0.1.14 support? No option to set SD card ignored. On pressing "Add dir" only /home/nemo is listed, no way to go to parent folder. Advanced settings and developer mode are enabled. Could you please update it for SFOS 3? BUG: ignored directories doesnt do anything in SFOS 2.0.5.6 Intex Aquafish. 4. I opened gallery and the Album image that i explicitly selected tge tracker to ignore shows up in Gallery as image. I understand that this changes the trackers directories, but for eg. if i change the photos dir, where will the camera place my photos when taken? In the same default or the updated tracker path? This might be a dumb question, sorry. Yeah, that was what i had in mind. Any way to change default behavior? One thing you can do is create a soft link that will point at /home/nemo/Pictures to wherever you want. I will look into it later then. Im gonna reflash my Sailfish rn, and move all stuff to a new SD card. В версии 0.2 он устанавливался и работал даже на версии ОС 1.1.7.28, а с последним обновлением (0.3) уже нет. Можно ли собрать его так, чтобы работал также на предыдущих версиях Sailfish? По крайней мере, когда появится блокировка директорий с sd-карты? You should install "Allow settings rotate" or "Allow any orientation" patch. can you look for errors in journalctl when pressing any option? 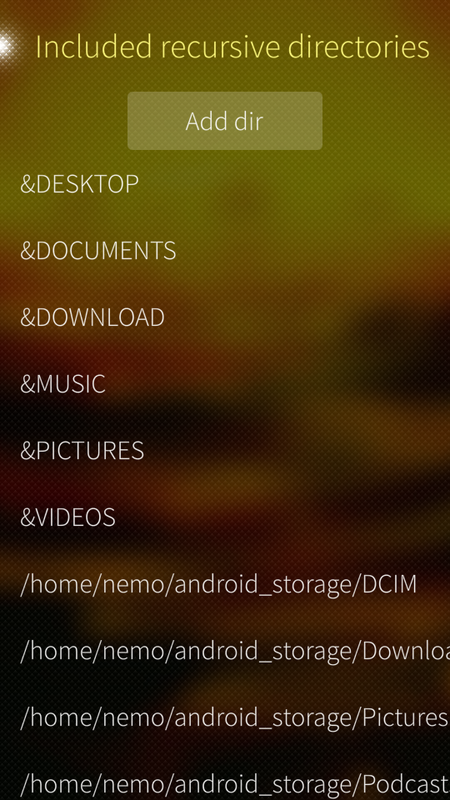 I love the idea but it seems impossible to add something not in /home/nemo on my phone. For instance, that would be usefull for adding sdcards subdirs to the path. well, i didn't want to mess with default paths, so i blocked it. Is there any progress on allowing paths ot the SD card? It doesn't seem to be possible in 0.3, and unlocking the default paths doesn't seem to change anything as it isn't possible to type in a path or browse lower in the file heirarchy than /home/nemo. Work around might be to make a symlink between /media/sdcard/****-****/Music and /home/nemo/music, but I am not sure how to do that and it doesn't seem like an elegant solution.